(Melbourne, FL) January 14, 2019 – FightLite® Industries, the country’s leading manufacturer of innovative, mission-configurable firearms, parts and accessories announces the official production launch of its caliber and magazine convertible FightLite® MXR®! The new patent-pending FightLite® MXR® is a multi-caliber, pistol cartridge platform that is primarily chambered for 9mm NATO and is caliber convertible at the user level without tools to include .22LR, 9mm NATO, .357 Sig, .40 S&W, 10mm, 45ACP and FN 5.7 x 28mm. 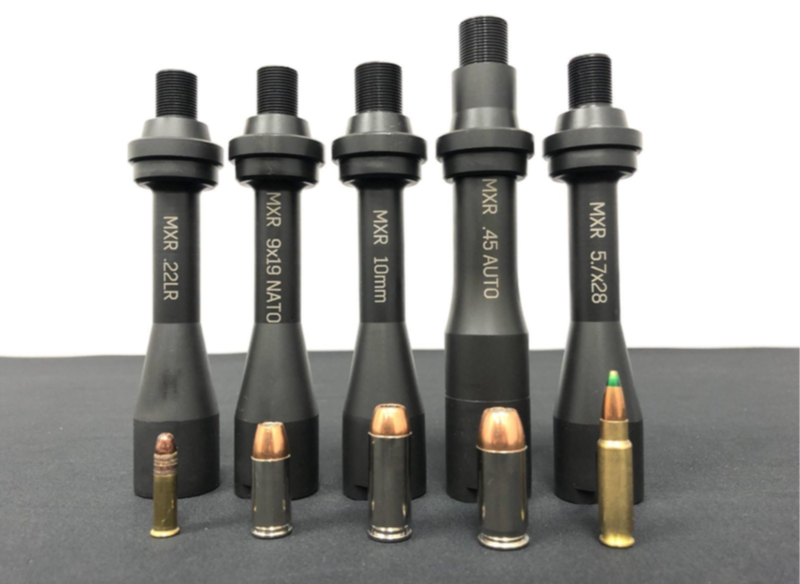 The compact MXR® is suppressor capable via a threaded barrel and will also accept a variety of common pistol magazine types including those from Glock, Sig, Beretta, CZ, S&W, and many others. Available in pistol, carbine and select-fire submachine gun models that are suitable for civilian, law enforcement and military use. Manufactured in the USA of aerospace grade materials, the MXR® is offered in two sizes; a Standard model with a 7” barrel and a more compact “K” model with 5” barrel. Features include MIL-STD 1913 rails at the 6-12 o’clock positions and Magpul® M-Lok interfaces at 3-9 o’clock positions of its monolithic receiver for optimum strength and accessory retention. Also included as standard equipment for the MXR® are ambidextrous controls, M4-compatible fire control and pistol grip interface, AR stock/brace interface and a left-side charging handle for quick and easy use. The compact and reliable FightLite® MXR® leads the pistol caliber market with a lightweight and accurate product that improves user and agency logistics and ammunition management by permitting its users to have complete caliber and magazine commonality between their choice of everyday sidearm and their FightLite® MXR®. 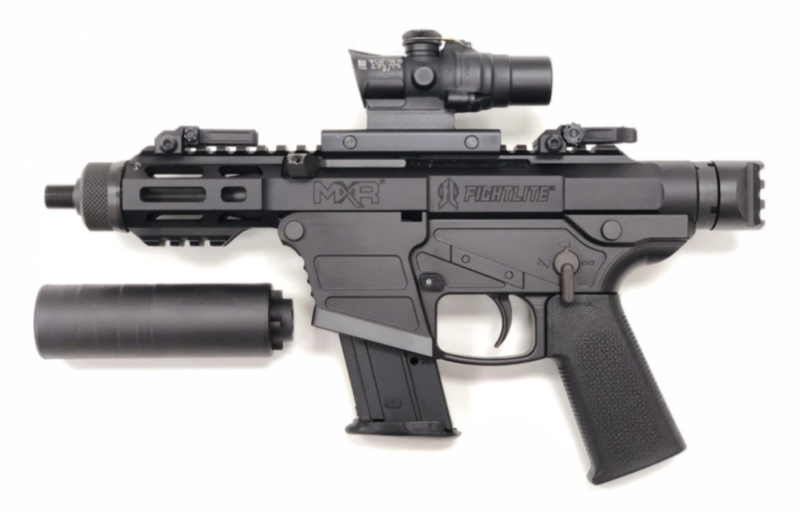 “The MXR was born from an operational logistics failure that we first observed after the Bataclan terrorist attack in Paris a few years ago and have now seen many times over, principally by law enforcement users of submachine guns and pistol caliber carbines.” says FightLite® CEO Geoffrey Herring. “We noticed that while department pistol ammunition may be standardized, officers frequently don’t have pistol magazine commonality with others on their own force. And it gets worse when a pistol caliber carbine or submachine gun is introduced into the equation. The annual SHOT Show is being hosted at the Sands Convention Center in Las Vegas January 22-26, 2019. Notice: FightLite® and MXR® are registered trademarks of ARES Defense Systems, Inc.